The Gist: Harry Enten on Trump, and Adam Davidson and Zoe Chace on interest rates. Reporters Adam Davidson and Zoe Chace attempt to explain the essential mystery at the heart of our economy—what Janet Yellen is thinking. 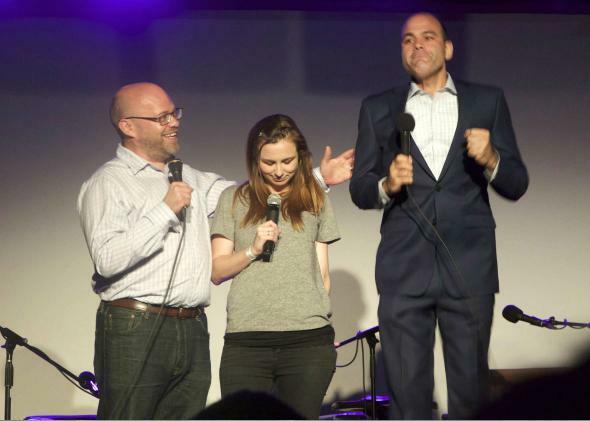 On The Gist, the second of three episodes recorded at our live show in Brooklyn, New York. From the stage of the Bell House, Harry Enten from FiveThirtyEight uses his poling expertise to explain Trump’s real chances at the presidency. Then, Adam Davidson declares America’s interest rates “the most important thing in the world.” He’s a contributor to the New York Times Magazine and a founder of NPR’s Planet Money. Then, Zoe Chace from This American Life swoops in to help explain the mystery at the heart of our economy: what we think about, what Janet Yellen is thinking about, what we think about Janet Yellen. It will all be clear soon. Check back Thursday for the third part of this special live Gist series.